This past weekend I took Rebecka, Pastor Luis and his family (7 in all), and five more Student Leaders/Youth to La Cruz on a "Mini Missions Trip." 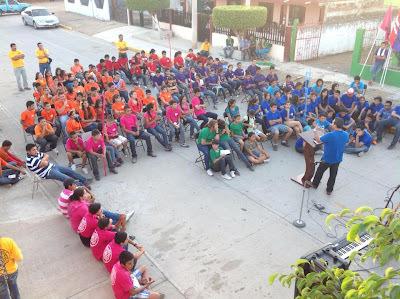 We were asked to help them kick off the EL RETO event that we do every year here in their city. It was an exciting time, lots of work, lots of paying attention to details, and lots of blessings as we saw 110 youth show up for the first week! Most everything was the same in order to not "re-invent the wheel." They'll keep doing this for 5 more weeks and then adapting it to their location and students' involvement. Thank you to all of you who prayed for us. Please continue to pray as so many of these students do not know Christ as their Savior. The Pastors in La Cruz have a wonderful opportunity to share with them. GREETINGS from Cofradía, Mexico! We are very grateful to all of you who partner with us in our ministry. Children’s Ministry Evangelization Tour was a thrilling time for the children as they shared bible stories, played games, did crafts, sang songs, and performed an impressive rendition of the Lifehouse Everything human video seven times in 6 different towns. Way to go 4th –6th graders! Here’s a quick report and video of their time. Discipleship Group Last year four of us started Greg Ogden’s Discipleship Manual and continued with other men as the book suggests. This has been very, very helpful to all 15 men who have participated. Many of the groups formed from our original group are finishing up. Thank you for your prayers as the men's ministry continues to be strengthened. Click here to read a little more. Evangelism in Las Pilas Our church body spent the evening in Las Pilas, a town just west of Cofradia, sharing songs, messages, testimonies, dramas, and praying for the people. It is always an inspiring time as the people there are very open to receive from God. Here is a quick video report of our time there. Emma’s 7th Birthday April 10 was Emma’s birthday and she had a great time with her friends playing games, hitting the piñata and eating tamales and cake. 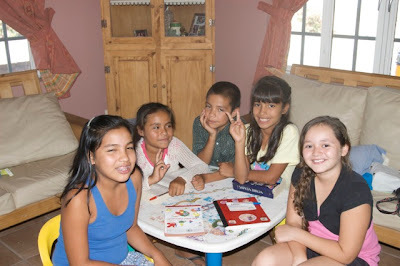 AM Cofradia Staff Max Diaz has moved back to Guadalajara to be with his children. He is getting settled in and doing well. Thank you so much for your prayers over his life, we look forward to receiving him back here soon. EL RETO LA CRUZ will begin on May 4 (see more under this months’ requests). Upper Room Project The floor has been tiled and the bathroom is completely done. The stairway, doors, and furnishings are left. April Newsletter Some who do not have email get a newsletter sent to them. This was the latest. ALTERNATIVE MISSIONS COFRADIA MINISTRY OPPORTUNITIES See where you can fit in. EL RETO LA CRUZ will begin on May 4. Pray for travel safety as some of us will be attending and helping Cosecha Final La Cruz get started. They will be carbon-copying our 2012 event: “The Danger Zone.” Pray for a successful 6 week outreach, they already have 90 students signed up! Mother’s Day is coming up and we’ll be serving a free breakfast to all the mothers who come. Please pray that the Lord uses this as an avenue of ministry for the women of the church (May 10). Ruben Garzon will be getting married on May 18. He has grown up in the church and has been very, very active in the youth group and leadership. His bride to be is from the nearby city of Tuxpan, Nayarit and attends a Christian church there. Pray for guidance and wisdom for them both. Trip to States We’ll be heading to Washington soon and on the way are praying for opportunities to share God’s love anyway and anywhere we can. 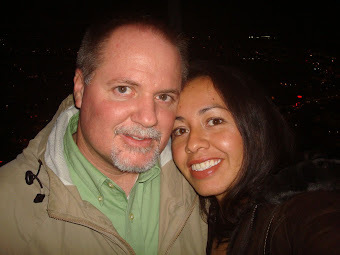 Our plan is to head to California first to visit Geña’s family and her neice’s newborn, then possibly stretch over to Manitoba, Canada to see the Taylors and Eliases, visiting friends and historical sights along the way. Then, head back through Montana, Northern Idaho, and Eastern Washington before arriving at my Parents house in Silverdale. It will be a long trip, especially with an 8 month old. We would love to see you if you live in Arizona, California, northern Nevada, Salt Lake City area, Wyoming, South Dakota, North Dakota, Montana, Northern Idaho, and Eastern Washington. I’ve already contacted some of you and hope to hear from others soon. This is a “once in a lifetime” trip for us and we’d like to take advantage of this window of opportunity as it will be very exciting trip for all of us, especially Rebecka and Emma as we have plans to see the “Little House on the Prairie” sites in South Dakota and Walnut Grove, Minnesota. Thank you for your prayers. (May 21 – Aug). The Centro Cristiano Cofradia church's motto is "Grow and Let Grow." Our current push is to train up leaders for the next generation of believers. In other words, "make disciples." In order to do that, we need to work on developing and strengthening our personal relationships with Christ. It has been almost a year and a half since we started meeting together, Pastor Gollo, Gustavo, myself, and Hugo. 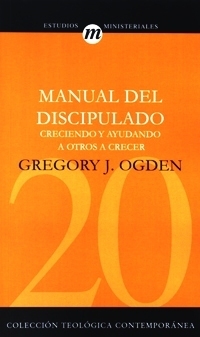 We studied Greg Ogden's Discipleship Essentials as a trial to see if it's something that would work here. The results surpassed my expectations, as well as Pastor Gollo's, as our relationship together deepened with one another and with the Lord. I'm sold on Greg's "Triad" idea; working with 3 or 4 in a group instead of one on one or larger groups due to intimacy, vulnerability, and consistency. He suggests at the end of the study to have each of the 3 or 4 participants pray and search for 2 or 3 others to work with and open another group. We did that and those groups are wrapping up this month. Soon, 15 men will be looking to open more groups. If all 15 men recruited 2 each, we would have 45 men in an organized, closed, and intense discipleship group. From time to time our original group continues to meet to encourage one another and keep one another accountable. We will be looking at John Eldridge's book, Wild At Heart, in the near future. This is a ministry that is close to my heart. One of the aspects of Alternative Missions Cofradia is to minister to the local church as a resource for helping them reach their goals and fulfill their vision of "Raising up Leaders." My hope as the Area Director of this mission is to give hope to those who have none. Some of the 15 men are already recruiting others to be part of their next group. We have yet to purchase the books necessary to continue. Each book in Mexico costs nearly $20 US Dollars. Our goal is to purchase 50 more books so we can continue. If you would like to help in purchasing these, please email me to give you the Spanish information and links in order to purchase them. Or you can simply send a donation and I can purchase them myself. $100 US Dollars will provide almost enough for 6 books. Thank you very much for partnering with us. Please remember to designate your gift on a separate note for Cofradia Men.